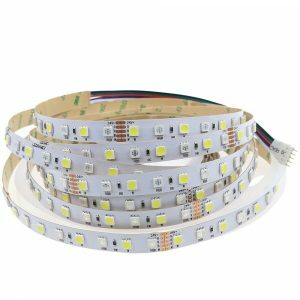 Waterproof IP65 RGB + Cold White(6000K) + Warm White(3000K) LED strip lighting. 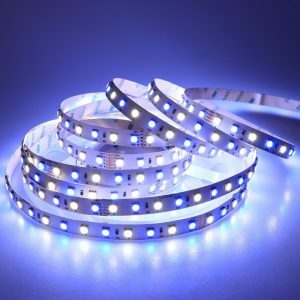 LED Quantity: 108LEDs/m, 540LEDs/roll (180pcs RGB LED, 180pcs Warm White LED, and 180pcs Cold White LED). You can use DC12V power supply (ASIN: B00QKL8UZA), wife controller (ASIN: B01DY56N8U) and remote controller(ASIN: B06XCCGSCR, B06XC51J5P ) for the strip. Warn: It is forbidden to light up for a long time when the light is in the spool. 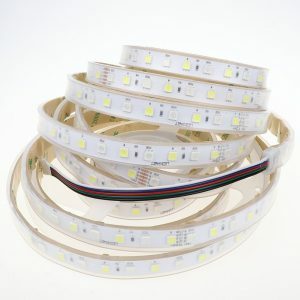 R,G,B & warm white 4 colors in 1 LED SMD RGBW led strip. 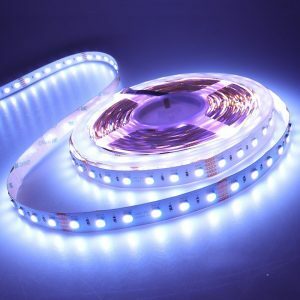 Super bright LED strip with 3M self-adhesive backing. You can use RGBW strip controller (Four channels controller) to change color. 10 meters long. Strip width: 15mm. 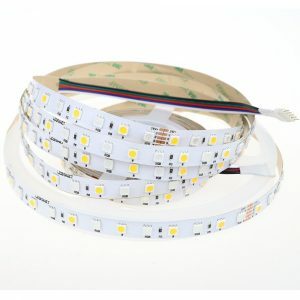 LED Quantity: 60LEDs/m, 600LEDs/roll(600pcs RGBW LED). 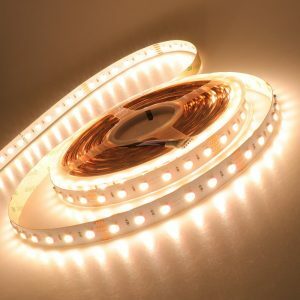 White PCB board, can be cut every 6 LEDs at the marked intervals . R G B W in one chip. Red, green, blue and white sub-pixel, higher displaying brightness and saturation, lower consumption and super use ratio. 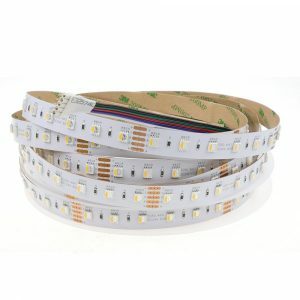 R,G,B & Cold White 4 colors in 1 LED SMD RGBW led strip. 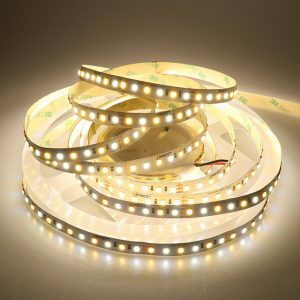 Super bright RGBW LED strip, each 2835 white LED is 20 Lumen. Color temperature: 3000K -6000K adjustable. 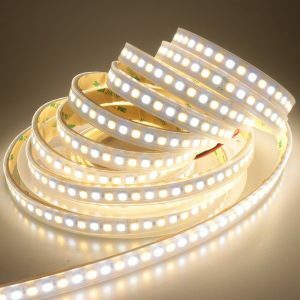 LED Quantity: 120LEDs/m, 600LEDs/roll(300pcs warm white LED and 300pcs Cold white LED). Length: 5M(16.4ft); Width: 10mm. Lead wires: three cables; three channels LED strip light. 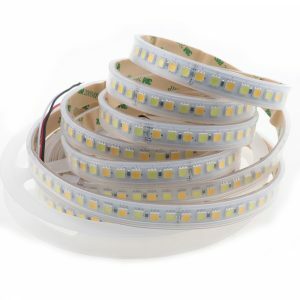 White PCB board, can be cut every 6 LEDs at the marked intervals & rejoined by a simple solder or a quick connector. 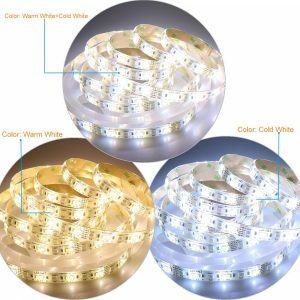 The rgb and cold white LED chips can be controlled separately for white light or different colors to illuminate the chosen installation location always perfect and according to the situation. 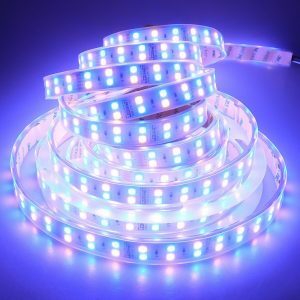 Super bright Waterproof IP67 RGBW LED strip in silicone sleeving (outdoor use) .You can use RGBW strip controller (Four channels controller) to change color. 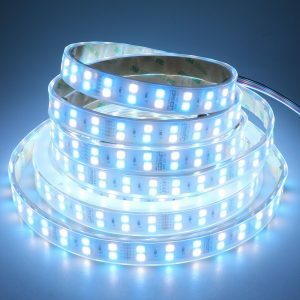 2 in 1 design: get RGB and RGBW strip light at the same time, Cold WHITE color could be used for reading. RGB+Cold WHITE: red, green, blue and Cold white sub-pixel, higher displaying brightness and saturation, lower consumption and super use ratio. Strip width: 12mm. 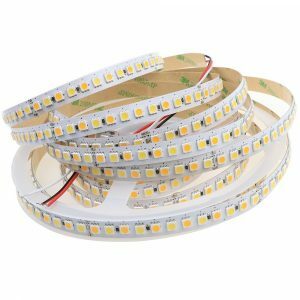 LED Quantity: 72LEDs/m, 360LEDs/roll(180pcs RGB LED and 180pcs Cold White LED). 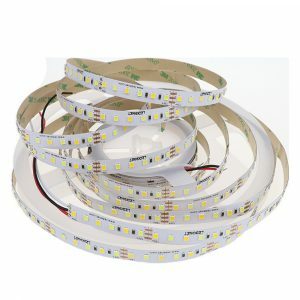 White PCB board, can be cut every 12 LEDs at the marked intervals & rejoined by a simple solder or a quick connector. 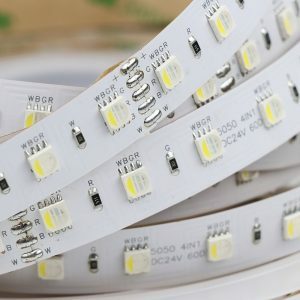 RGB + W strips are an evolution of the RGB stripes. 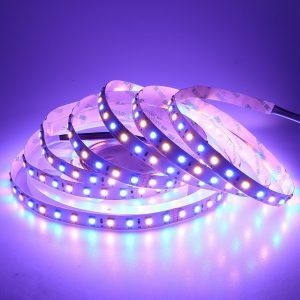 In this new model, an RGB LED and a white LED is fitted alternately, it combines the best of both worlds, the variety of colors of RGB LEDs with the purity of the monochromatic LEDs. 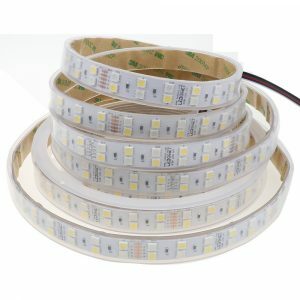 2 in 1 design: get RGB and RGBW strip light at the same time, Warm WHITE color could be used for reading. RGB+Warm WHITE: red, green, blue and warm white sub-pixel, higher displaying brightness and saturation, lower consumption and super use ratio. Color temperature: 2800K -7000K adjustable. 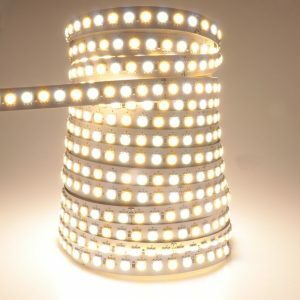 LED Quantity: 120LEDs/m, 600LEDs/roll(300pcs warm white LED and 300pcs daylight white LED). 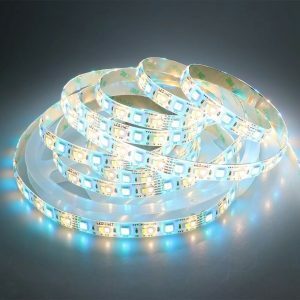 Energy efficient, super bright LED flexible lighting strip. 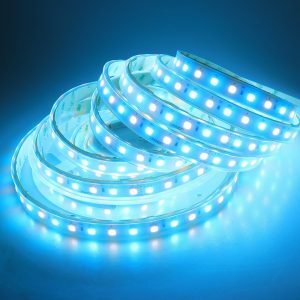 ENET LIGHT TECHNOLOGY CO., LIMITED is a professional LED manufacturer in R&D, production, sales and services. ENET LIGHT has always stood for providing high quality products. 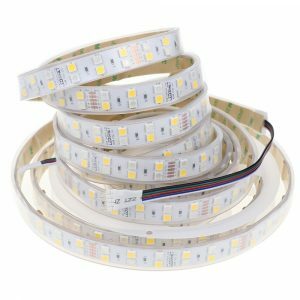 The outstanding features of our LED products are environment-friendly, no-ultraviolet radiation, energy-saving, long life-span, no glaring etc. Most of our products have CE, FCC, RoHS and/or UL certificates. ENET LIGHT is willing to work with customers and light brighter life with colorful LED products.